Less than a day after the Washington Post published a report detailing Ivanka Trump’s extensive use of personal email to conduct official government business, nonpartisan ethics watchdog American Oversight called for a congressional investigation. The discovery of Ms. Trump’s extensive use of personal email was prompted by Freedom of Information Act (FOIA) requests and litigation filed in early 2017 by American Oversight seeking the release of her communications with several federal agencies, the Post reported. According to the report, the revelation sparked an investigation by the Office of White House Counsel, which ultimately determined that Ms. Trump was the “worst offender” among White House officials in her use of personal email. “The president’s family is not above the law, and there are serious questions that Congress should immediately investigate,” said Austin Evers, Executive Director of American Oversight. “Did Ivanka Trump turn over all of her emails for preservation as required by law? Was she sending classified information over a private system? For more than two years, President Trump and senior leaders in Congress have made it very clear that they view the use of personal email servers for government business to be a serious offense that demands investigation and even prosecution, and we expect the same standard will be applied in this case. “When we went to court last year, we expected to find the president’s daughter had an unusual role in the White House, but we didn’t anticipate this kind of extensive use of a personal email server or the panicked damage control effort that unfolded after we started asking questions,” Evers added. In a letter to the chairs and ranking members of the House Oversight and Government Reform Committee and the Senate Judiciary Committee, American Oversight called on Congress to immediately investigate Ms. Trump’s personal email use, her violations of the Presidential Records Act, and questions including the potential mishandling of classified information on Ms. Trump’s private email server. The letter is available here. The Presidential Records Act requires the preservation of all official communications by senior White House officials, and that any communication created or sent using a non-governmental account must be forwarded to an official account “not later than 20 days” after it was created. There can be no doubt that Ms. Trump knew her use of personal email violated the law. Both during and after the 2016 presidential campaign, President Trump publicly excoriated former Secretary of State Hillary Clinton for her use of a private email server to conduct some government business. 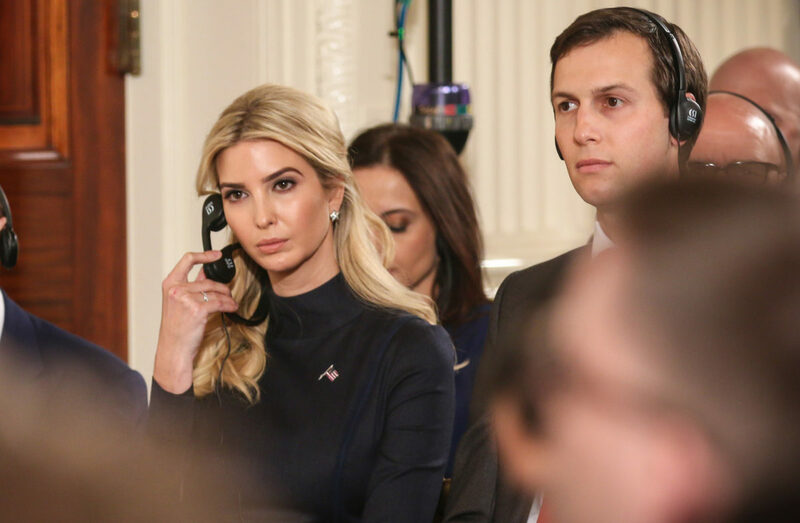 On March 31, 2017, American Oversight filed FOIA requests with the Departments of Commerce, Education, Labor, the Treasury, and the Small Business Administration (SBA) seeking Ivanka Trump’s communications with agency officials. After the agencies failed to respond as required by law, American Oversight filed suit in May 2017 demanding the release of any records responsive to the requests. The case against SBA was dismissed after the agency pledged to produce the requested records. Four agencies ultimately produced emails between Ivanka Trump and senior political staff — including documents released by SBA on June 20, 2017, that contained an email sent by “Ivanka Kushner” to Administrator Linda McMahon from a dot com email address. All of the emails American Oversight obtained in response to this litigation are available here. Following today’s report, American Oversight will file new FOIA requests with 23 agencies investigating the White House damage-control effort and the actions taken to recover and preserve emails sent by Ms. Trump. The requests seek records of communications between federal officials across the government and the White House and lawyers representing Ms. Trump. An additional set of requests seek details on the DOJ communications with the White House about American Oversight’s 2017 FOIAs and litigation.